My Mobile App is a platform which allows the administrator of the app to manage the content displayed. It allows you access to valuable customer information such as contact details, type of device used (i.e. mobile, tablet etc. ), time the app was accessed and features used, this makes it a very powerful marketing tool. An effective mobile app strategy involves more than just a mobile-friendly website. Many of the small businesses you interact with every day, from the corner coffee shop to the beauty spa downtown, have their own dedicated mobile app. Be ahead of the game and take your marketing to the next level. A mobile app for your business can be greatly contribute to your brand awareness. A beautifully designed app attracts customers and improves recognition. 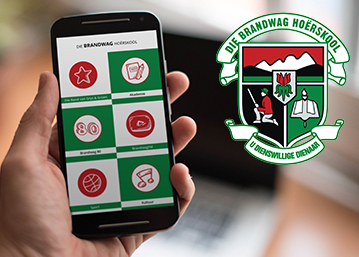 Be in control of your own app in the uploading and managing of all the content displayed on the app. Using the Personnel Manager you can give access to more than one person by assigning admin duties for content changing or uploading images. Mobile apps on the small business level are still rare, take a big leap ahead of your competitors by being ahead of the game. 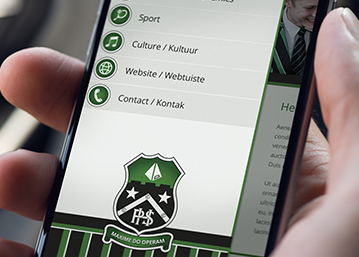 Create brand awareness for your school by receiving your own customised mobile app, YOU control the app! Use the mobile app to send out important school information through push notifications to parents or clients and track whether they have or have not read the messages. 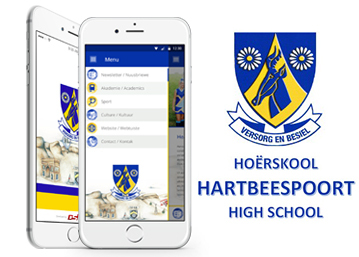 Having a school app can save you money by making use of push notifications instead of sending out SMS messages. Know when to market to your audience by tracking when (time of day) they use your mobile app and what pages are visited the most. A positive method in creating brand awareness for your business, YOU control the app! Use the mobile app to send out important business information through push notifications clients and track whether they have or have not read the messages. Save money by making use of push notifications instead of sending out SMS messages. Stand out from your competition and get your own customised mobile app. Save money through push notifications instead of SMS and printing costs. Your audience plays a big role and through your mobile app you are able to find out when to market to your audience, by tracking when (time of day) they use your app and what pages are visited the most.